Most sound cards work out of the box with Linux, but some need additional configuration to work properly. Linux distributions such as Ubuntu come with easy-to-use GUI (graphical user interface) based applications for installing and configuring sound cards. However, some Linux systems may require a few terminal commands to get sound to work. Plug your speakers into the "Audio Out" jack on the new sound card, then turn up the volume. Restart your computer and enter the BIOS (usually by pressing "F2," F10" or the "Delete" key). Disable the integrated sound chip on your motherboard (refer to your computer owner's manual if necessary) if you installed a third-party sound card. Save the BIOS settings, then boot into Linux. Open a terminal and type "sudo apt-get install libasound2 alsa-utils alsa-oss" (without quotes) then hit "Enter." This will install ALSA and a few codecs that are needed to play sound in some Debian-based systems. Click on the "Speaker" icon located on the main toolbar to open the master volume control. Unmute the "Speaker," "Master," "Headphone," and "PCM" volume sliders, then slide the volume knobs up to eighty percent. 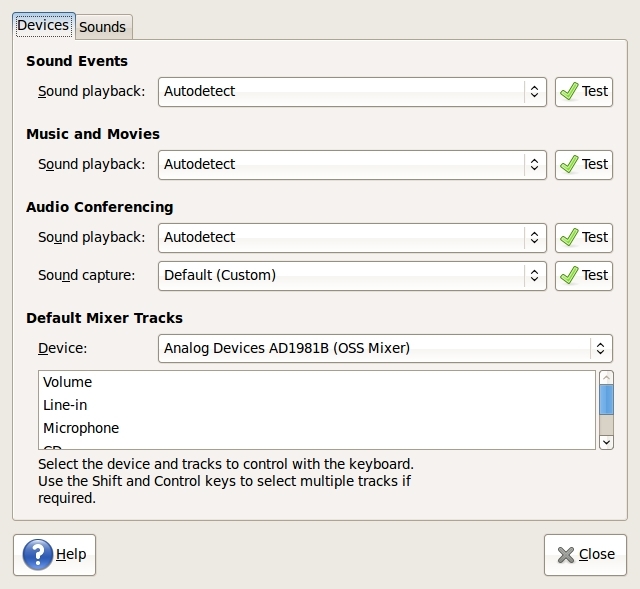 Open the sound configuration application for your particular Linux distribution. In Ubuntu for example, click on the main menu then hover over "System," then "Preferences," and then click on "Sound." Click the "Test" buttons in each category. 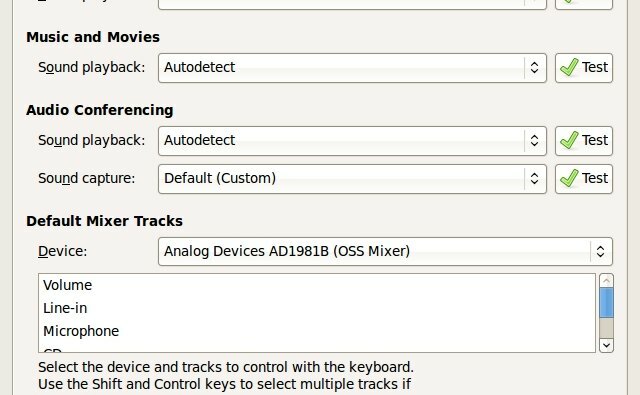 If there is no sound, test each entry in the drop-down menu (ALSA, PulseAudio, OSS and so on) until you find a working configuration. Click the "Close" button to save the settings, then restart the computer. If you installed a third-party sound card and there is still no sound, open a terminal and type "aplay -l" then hit "Enter." If the command returns "no soundcard found" Linux is not recognizing the new card. Shut down the computer and make sure the card is seated properly in the AGP or PCI slot. Restart the computer and test the sound again.